“Legacy” aired on 23rd of January 2016 as the closing episode of Thunderbirds Are Go Season 1. 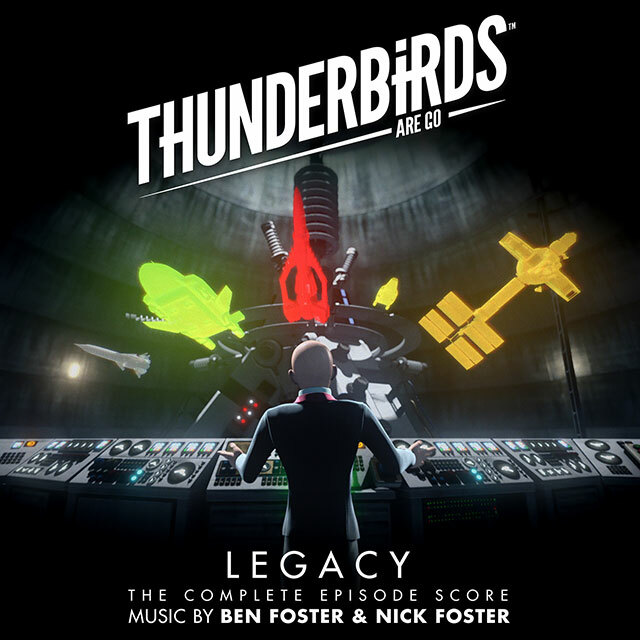 This is the complete score written by Ben and Nick Foster. ITV’s Thunderbirds Are Go is now screened in more than 40 countries worldwide. The series has enjoyed strong international ratings since its launch in 2015, 50 years after Gerry and Sylvia Anderson’s classic Thunderbirds series first aired. In the UK, the series premiered in April 2015 to a consolidated audience of close to three million and continued to be the most watched show in its slot. Despite its new high-tech look the production retains all the qualities that made the original series a worldwide success. Strong characters and great adventure stories and this time with no strings attached the series has spread like the original and crossed the generation gap. With the stories focused around the Tracy brothers it’s fitting that another team of brothers, Ben and Nick Foster have taken on the job of providing new music for this seminal series. Facing the daunting task of following in the footsteps of the original and prolific Thunderbirds composer Barry Gray the duo have followed the same route employing a full symphony orchestra , adding modern touches to bring the sound completely up to date but retaining reverence for the original. Ben is a three times BAFTA nominated composer whose scores include Torchwood, Hidden Kingdoms, Happy Valley, Our Girl and as an orchestral arranger and conductor for 99 episodes of Doctor Who. Brother Nick is a BAFTA winning composer whose work includes The Cube and Derren Brown Specials.